With over 100 years combined experience B&R have build a reputation as leaders in the hazardous area market. Specialising in the supply of electrical equipment for hazardous areas, B&R Ex Systems utilises the manufacturing and distribution network of B&R Enclosures and a highly experienced team to deliver products of the highest standard. The company is dedicated to providing superior quality products, designed to meet the stringent requirements of the internationally recognised IEC Ex Certification Scheme. B&R Ex Systems accreditation to ISO 9001 for the design, manufacture and distribution of electrical equipment for hazardous areas. B&R Ex Systems offer a large range of enclosures, lighting, controls and cable glands, as well as IEC Ex certified value add services including custom control fit outs. 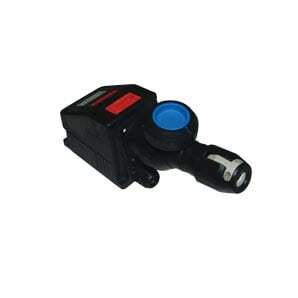 An IP66, light weight and compact terminal enclosure for Zones 1 & 2, 21 & 22. This entry was posted in Enclosures, Ex e Enclosures, Hazardous Area Non-Metallic Enclosures, Hazardous Areas, Plastic Enclosures, Product, Terminal & Control Enclosures and tagged Color Black, IP66 on February 4, 2016 by Rhys Gosper. Terminal enclosures for Zones 1 & 2, 21 & 22. 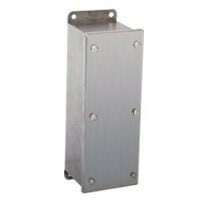 Suitable for both dust and petrochemical areas where stainless steel is not a requirement. This entry was posted in Enclosures, Ex e Enclosures, Hazardous Area Non-Metallic Enclosures, Hazardous Areas, Plastic Enclosures, Product, Terminal & Control Enclosures and tagged Color Black, IP65 on February 3, 2016 by Rhys Gosper. A Fixed Lid Enclosure suitable for use within chemical, petrochemical, dust and grain applications where a small enclosure is required. This entry was posted in Enclosures, Ex e Enclosures, Hazardous Areas, Product, Stainless Steel Enclosures and tagged Color 316SS, IP66/67 on February 3, 2016 by Rhys Gosper. Available in emergency and non-emergency options. Suitable for Zones 1 & 2, 21 & 22. This entry was posted in Aluminium Lights, Hazardous Areas, Hazardous Lighting, Lighting, Lighting - Zone 1 & 2, 21 & 22, Product and tagged Color 7040, IP66 on January 27, 2016 by Rhys Gosper. Provides electrical connection within a hazardous area for mobile or portable equipment. This entry was posted in Plugs & Sockets on April 16, 2015 by Caroline Jones. Standard control stations that can be combined into one unit using a maximum of six in configurations to suit the application requirements. This entry was posted in Control Stations, Enclosures, Ex e Enclosures, Hazardous Area Non-Metallic Enclosures, Hazardous Areas, Plastic Enclosures, Product, Terminal & Control Enclosures and tagged Color Black, IP66 on April 10, 2015 by Caroline Jones. Designed for marking escape routes and exits in potentially explosive atmospheres and can be used as a standard light during normal operations. 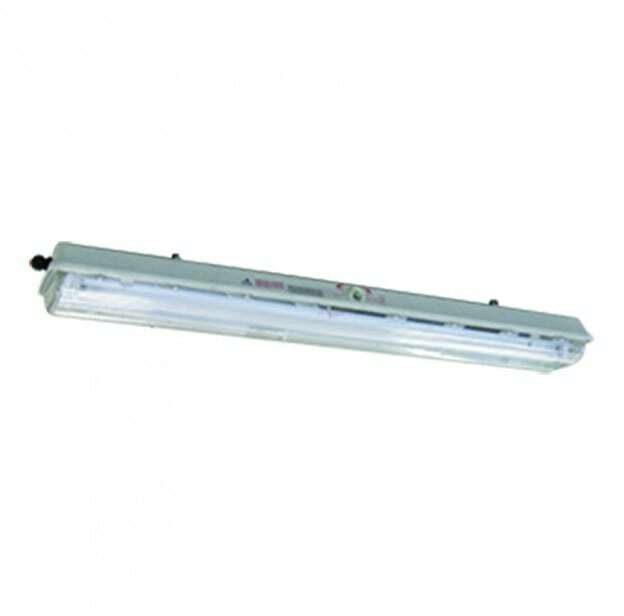 This entry was posted in Aluminium Lights, Hazardous Areas, Hazardous Lighting, Lighting, Lighting - Zone 1 & 2, Product and tagged Color 7040, IP65 on April 10, 2015 by Simon. 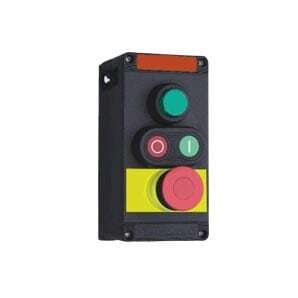 Ex e rated, explosion protected, fixed lid pushbutton control station, is rated to IP66/67 and is pre-configured or custom built for ease of installation from one to six operators. Suitable for use within petrochemical dust and grain applications and Zones 1 & 2, 21 & 22. This entry was posted in Control Stations, Enclosures, Ex e Enclosures, Hazardous Areas, Product, Stainless Steel Enclosures, Terminal & Control Enclosures and tagged Color 316SS, IP66/67 on March 16, 2015 by Simon. What would you like to receive information about?